Gillies, C. E., Gao, X.L., Patel, N.V., Siadat, M.R., Wilson, G.D.(2012). Improved Feature Selection by Incorporating Gene Similarity into the LASSO, 2012 IEEE 12th International Conference on Data Mining Workshops. An extended version is published in International Journal of Knowledge Discovery in Bioinformatics, 3(1), 1-13, DOI: 0.4018/jkdb.2012010101. Wu, Y. and Gao, X.L. (2011).Sieve estimation with bivariate interval censored data, Journal of Statistics, Application and Theory, 5, 37-61. Gao, X.L. and Fang, Y.X. (2011). A note on the generalized degrees of freedom under the L1 loss function. Journal of Statistical Planning and Inference, 141, 677-686. Gao, X.L. and Huang, J. (2010) A Robust Penalized Method for the Analysis of Noisy DNA Copy Number Data. BMC Genomics, 11:517. Gao, X.L. and Huang, J. (2010). Asymptotic analysis of high-dimensional LAD regression with Lasso. Statistica Sinica, 20 1485-1506. 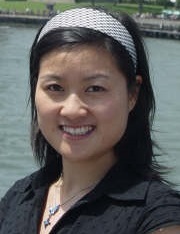 Dr. Xiaoli Gao received her Ph.D. in Statistics from the University of Iowa in 2008 and joined UNCG in 2013. Her research interests include High-dimensional Data analysis, Shrinkage analysis, Statistical Genetics, Change point and Survival Analysis. More recent papers can be found on her personal webpage.